The T-Sport GT is a classic modern and sporty automobile that comes with a powerful motor and an efficient 48V battery system. The car is stylishly built and is available in 4 trendy colours as well as a host of accessories and upgrades such as an on-board Delta-Q charger, locking glove boxes, cup holders, colour matched roof and bag holders. The perfect way to drive around in style and comfort! 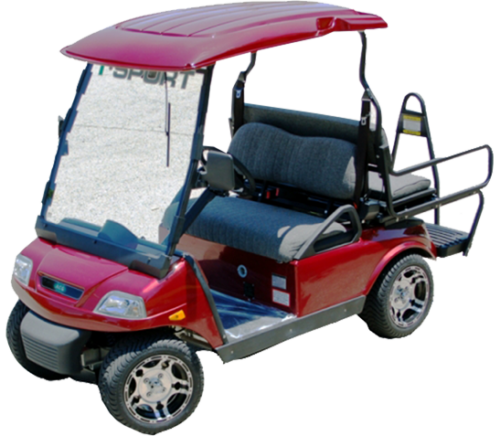 The T Sport LX is a compact custom utility vehicle that is built with a trendy design and modern features in mind. The powerful AC motor with a peak output of 17.5 HP and the 48V battery system make the driving experience fun and enjoyable. The car has technologically advanced features such as an on-board power source and a trendy LED signalling system to provide you with a package customized for all your driving needs. 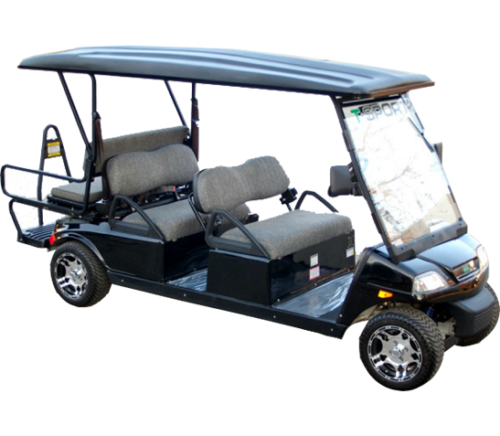 The 2-seater sporty custom utility vehicle is built with an ultra modern design as well as a powerful AC motor that allows it to reach top speeds of around 25 mph. Available in 4 classic colours: burgundy, black, silver as well as white, the T-Sport is equipped with numerous accessories such as locking glove boxes, cup holders, colour matched roof and 12” aluminium wheels that add to the overall appeal of the car. The T-Sport Limo is a long and spaciously built automotive that comes with a strong, rugged and corrosion-proof aluminium structure as well as fashionably useful car accessories. The Limousine can cruise to a top speed of about 25 miles per hour with its 17.5 HP AC motor and 48 Volt system. The SEVCON controller, its plush interiors and the hydraulic braking system make the experience of driving the T-Sport Limo an unforgettable experience.